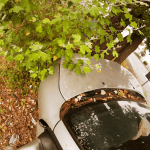 A Folsom multiple vehicle accident occurred on August 27, 2018. It resulted from an initial rear-end collision and caused multiple injuries. According to the California Highway Patrol (CHP), the collision occurred on U.S. Route 50 and involved five vehicles. Because some of the parties involved in the accident were unable to get out of their vehicles, fire crews were required to extricate those individuals. The accident happened at about 4:00 in the afternoon near the Folsom Boulevard exit when a Honda Prelude was struck in the rear by another vehicle. The collision caused the driver of the Honda to lose control and strike another vehicle on the driver’s side door. All of the people in the Honda that were initially struck in the Folsom multiple vehicle accident received moderate injuries and were taken to a nearby hospital for further evaluation and treatment. It was reported that one of the passengers was a child in a car seat, age 4. While traffic was slowed due to the accident, the site had been cleared about an hour and fifteen minutes later. Since the accident happened during rush hour traffic, it was reportedly backed up as far as Mather Field Road, seven miles from the crash. It was reported that neither drugs nor alcohol were believed to be a cause of the accident. Cervical strain is the most common. A concussion is also common, however, more severe forms of traumatic brain injury can happen. Broken bones can occur anywhere in the body. Arms and legs, along with the clavicle are common locations where breaks occur in all types of car accidents. Spinal cord injuries can result in partial paralysis, which makes it difficult to control the arms or legs. In its most severe form, it can cause paralysis from the neck down. The extent of injury depends on where the spinal cord was damaged. Disfigurement such as amputation or scarring can occur in a number of ways, causing embarrassment and affecting the individual psychologically. Abdominal injuries are frequently seen. While many of these types of injuries can be caused by the seat belt in a high-speed collision, other causes can also contribute to abdominal trauma. Although burns are less common in a motor vehicle accident, they do occur. The healing time for a burn depends on its severity. More serious burns can result in extensive hospitalization and reconstruction surgeries and cause a loss of use if it occurs in a limb. Accidents that involve multiple vehicles are more difficult to place blame because it depends on the initial accident and the order in which other cars crashed together. For example, one vehicle may rear-end another and push that car into another lane, causing an additional collision. 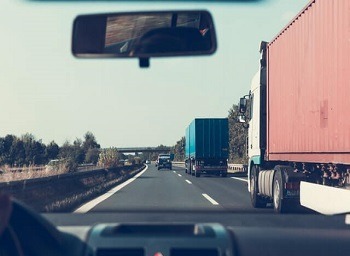 When multiple vehicles are involved, accident reconstruction may be necessary to determine fault. This is where an experienced injury lawyer can assist. I’m Ed Smith, a Folsom car accident lawyer. Being injured in a multiple vehicle accident can leave an individual with serious injuries and cause financial damage when medical bills pile up, and that person is unable to work. If a negligent driver has injured you or a loved one, a seasoned car accident lawyer can help you recover the damages you need. Please call me at (916) 921-6400 in the Folsom area or at (800) 404-5400 elsewhere in Northern California for free and friendly advice. You can also contact me online at AutoAccident.com. I have worked as an injury lawyer in Folsom and the surrounding Northern California for more than 36 years, helping those who face financial losses from accidents, including wrongful death cases and brain injuries. Among the associations I belong to, I am honored to be a member of the Million Dollar Forum. This group is dedicated to top trial lawyers around the country who have obtained a case settlement or verdict in excess of one million dollars for a former client.